Whistleblowers who risk their careers to uncover wrongdoing within public services are being victimised by managers who nearly always escape sanction, a public accounts committee report will say on Friday. MPs were told that only one senior manager who has victimised a whistleblower has ever faced disciplinary procedures, while many government departments are still failing to support employees who come forward in the public interest. The report also accuses ministers of failing to put in place effective policies to protect whistleblowers despite their role in exposing a series of major scandals including avoidable deaths at Mid Staffs NHS hospital trust and policing of the Hillsborough football stadium tragedy. 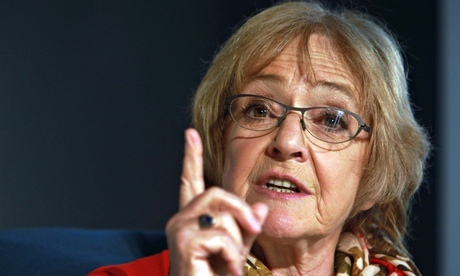 Margaret Hodge, the committee chair, said she had been dismayed by the way ministers and senior managers have failed to protect the public interest. MPs found there was a “startling disconnect” between Whitehall’s generally good whistleblowing policies and the way they operated in practice. It said that officials who did try to raise concerns often had to show “remarkable courage” in coming forward, and warned that the failure to provide effective protection could deter others from doing the same. The report cited the example of Kay Sheldon, a member of the board of the Care Quality Commission, who was “victimised” by senior officials after she tried to raise concerns. In evidence to the committee, Sheldon described how attempts were made to discredit her – including the drawing up of a secret report on her mental health. But while her concerns were subsequently vindicated, the committee said it appeared no one had faced any form of sanction over her treatment. The committee said the treatment of whistleblowers was often shocking, with bullying and harassment from colleagues, but government departments were unable to say whether any action had been taken against their persecutors. The charity Public Concern at Work was able to identify one example when a manager in the NHS was punished for victimising a whistleblower. The manager was eventually dismissed, the committee was told. The committee has previously expressed concern that their members have been approached by whistleblowers because many government employees do not trust managers to take up their complaints. MPs on the committee uncovered a “sweetheart deal” with Goldman Sachs, when tax officials wrote off up to £20m in interest payments owed by the bank. They did so after HMRC solicitor Osita Mba wrote to the committee and the National Audit Office with his concerns at the deal under whistleblowing legislation. Managers at HMRC threatened to sack and prosecute Mba for disclosing information – but withdrew the threat after Hodge’s intervention. Employees of welfare-to-work companies have also given evidence to the committee about wrongdoing in outsourcing companies. So is any direct action being taken or is the report just more empty words. Until examples are made of the bullies, not by sanctions but by dismissal for gross misconduct with no severance pay. it will continue. I fully agree with you. There needs to be accountability and treatment of whistleblowers. Without this, nothing will change – no lessons will be learnt and no deterrent. We need an effective governing body who acts on wrongdoers. Without the media naming and shaming, political humbug will continue to prevail. The Public Accounts Committee’s latest grandstanding is just another example. The PAC knows that the trail of wrongdoing and blind-eye turning in Morecambe Bay leads all the way to London. They also know who the responsible individuals are but neither its Chair nor its members will accept any responsibility for doing anything about it.